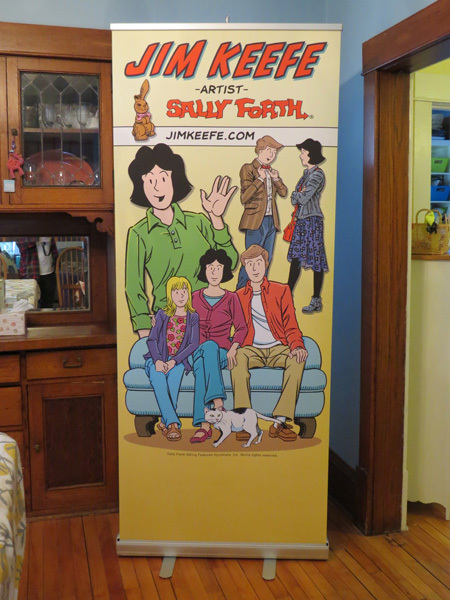 Just got my new retractable banner in the mail from imPhotoGraphics. Speedy delivery – in plenty of time for C2E2. So far happy with the results. Will report back as far as durability goes after some use in the field. This entry was posted in Conventions, Sally Forth and tagged Conventions. Bookmark the permalink.